Google has been quietly testing its new revamped Google Search homepage and it now seems like they are slowly rolling it out to all the markets. 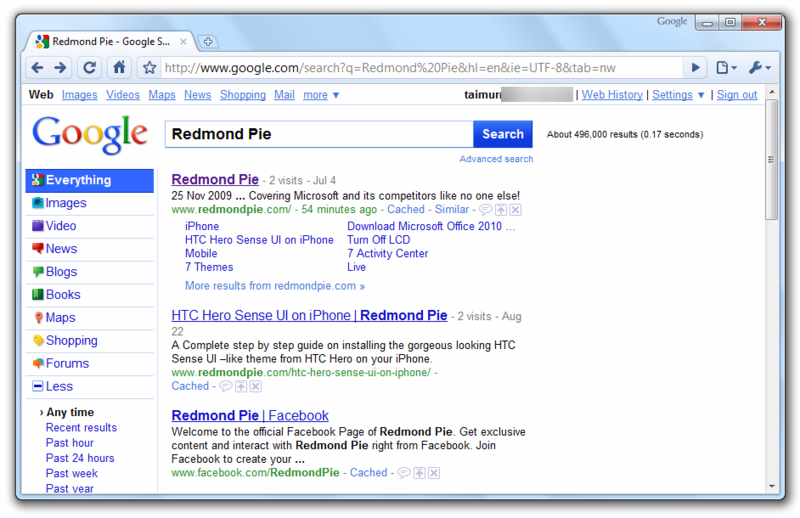 Thanks to the trick posted by Gizmodo, you can now try out the new Google Search and have a feel for it. Simply follow the steps below to get to the new Google Search page. Step 1: Go to www.google.com. Make sure you are on the Google.com (www.google.com/ncr) as it wont work for the local country pages like Google.ca or Google.co.uk. Make sure there that http://google.com is not preceding the code above. 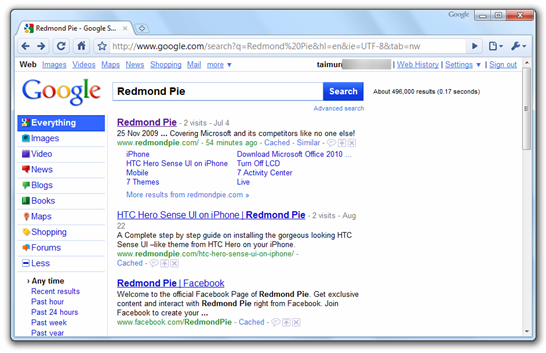 Step 4: Now refresh the same page or simply open google.com in a new tab to see the new Google Search UI. The new UI looks refreshing and modern’ish. Some of the elements in the new interface looks like being inspired from Bing.com, specially the sidebar on the left. Except for the Images and Maps results page, the new Google UI appeared for me in all the other search results options, this includes Videos, News, Blogs and more. I’m not sure if that’s the case with everyone else too? Put your thoughts on the new Google Search page in the comments section below. I'm at Brazil, followed each step but I get the same Google search page. What could be wrong? I have tested with Chrome and Firefox. Sam here, no changes on the images or maps results. I love it but they did they should add in option to hide the side bar if they haven't already (still trying the new homepage). Hi, I've got this working on My MacBook Pro (10.6.2) on Chrome, but it doesn't seem to work on Safari, any ideas? Try logging out and back in. Thanks, I just tried that, but it didn't help. This only works with the US version of Google, btw. Working fine with IE8 or Chrome! 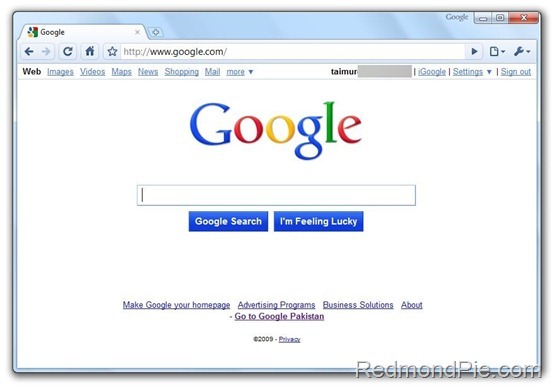 Hello I just search the google and I found out your site. Nice post I am very worth reading it. Thanks! Working on a Firefox Browser. What the hell.. i think there bringing it out now! i think they disabled that trick and i got a sneck pick! its on mine homepage! Must admit I was somewhat disapointed. The country settings dont work propperly, which means you have to reset it all the time.